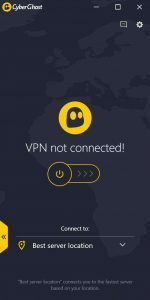 CyberGhost Review 2019 | One of the cheapest VPNs available! 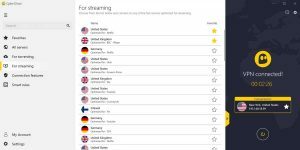 CyberGhost VPN has offered its services for a while now. And from the start, they've been carrying out a genuine commitment to people's privacy. So if you're a supporter of civil rights, a free society and an uncensored internet culture, you should seriously consider this provider. Indeed, it's now one of the fastest VPN and its packages are affordable. Read the full CyberGhost review below. CyberGhost is trusted by over 15 million users worldwide. 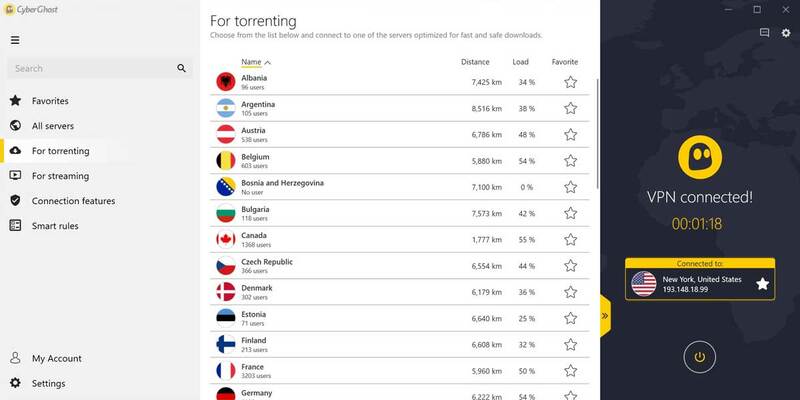 And it's one of the leaders in Germany, where torrenting is illegal and the chance to get caught is fairly high. So this is an extremely popular Virtual Private Network (VPN). And it offers a vast network, with over 1,200 servers in almost 60 countries. However, if you plan to watch Netflix, you can only watch American Netflix. And the other Netflix locations aren't compatible. But if you want to unblock streaming, it's a one-click solution: You can watch UK TV overseas and stream the BBC from abroad. And on all your devices. Because CyberGhost offers native apps on most platforms: Windows, Mac, Android and iOS. Finally, Cyber Ghost is torrent friendly. 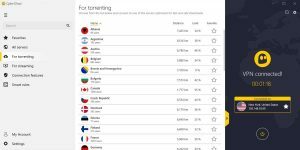 So you'll be able to use P2P protocol and download torrents, on their selected servers. 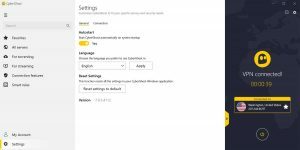 By default, CyberGhost enables the kill switch feature on desktop devices. And that's for the best. Because it protects your privacy if your VPN connection fails. Unfortunately, this can happen, even with the best VPN service. And if you're downloading torrents at that time, your OS could leak your IP address (the real one). 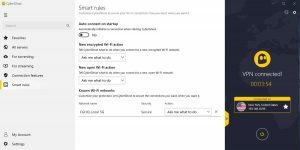 But the kill switch blocks all the traffic from your device, avoiding any IP leak. At CyberGhost, users' privacy comes first. As a result, they follow a strict no logging policy: They don't keep any log of your activity or your connection. Meaning that they don’t have any logs tied to your IP address. And that's why so many people use this provider to download torrents safely. While Netflix is the number 1 video streaming website, only the American library is supported by CyberGhost. And if you want to watch UK Netflix, you can forget about it. Why? Because Netflix is waging a war against VPN providers. And this provider is just starting to support Netflix. They used to focus more on other online activities, like anonymous surfing, anonymous torrenting and content unblocking. But they now have quite a list of streaming services they can unblock. So stay tuned for the new servers! 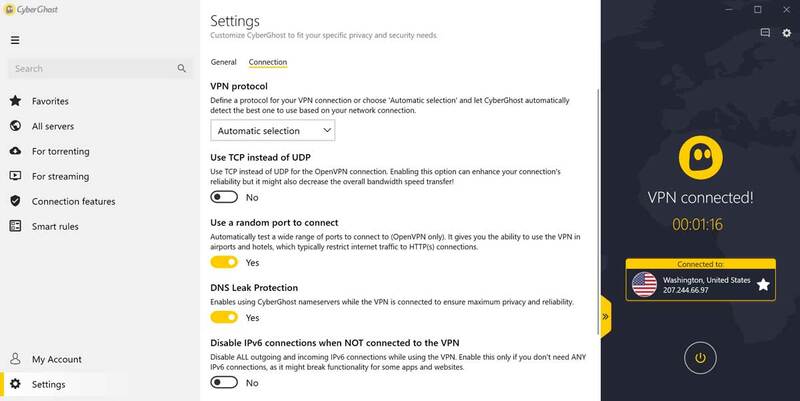 CyberGhost, like most VPN providers, offers an all-inclusive plan with 7 simultaneous connections. And you can choose only the length of your subscription: 1 month, 1 year or 2 years. While the monthly plan is expensive, the yearly and biennial ones are affordable. Moreover, the 2-year plan is making Cyber Ghost one of the cheapest VPN on the market. Should you want to try CyberGhost, you can do so, risk-free, for about a month. And if you're not enjoying their services, you can activate their 45 days money-back guarantee. CyberGhost is a reliable VPN solution, focused on protecting users' privacy. And it's no wonder it's among the best VPN on the market, praised by millions. 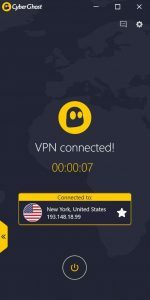 If you're a casual user who needs a VPN that's easy to use, then it's definitely a good choice. Because you'll be able to browse anonymously, download torrents and watch streaming videos. However, it does not work with Netflix, which could be a deal breaker. The plans are very competitive, especially if you plan to get long-term protection. And you should protect your privacy at all times when connected. So make yourself a favour and subscribe for the price of a pint!